How are fear and threat assessments related? – Conflict Research Group, Intl. How are fear and threat assessments related? Fear is a common emotion. Fear of violence is also a common emotion in most people. 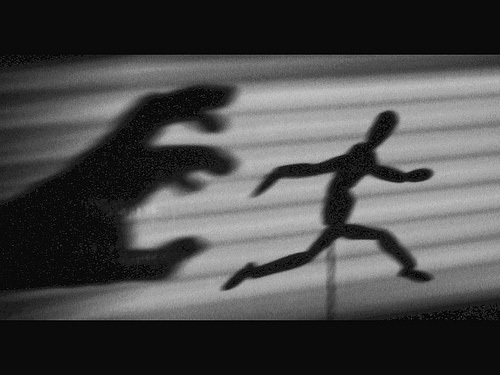 Fear can be beneficial when it keeps you safe in certain situations. This is Situational Fear. But when fear is ongoing or not based on an actual and current threat is becomes Dispositional Fear. Dispositional Fear creates stress and anxiety. Dispositional Fear makes you less safe because you have trouble identifying actual threats from imaginary ones. It lowers your ability to reason and make effective decisions. To summarize, some Situational Fear is good for you, most Dispositional Fear is bad for you. CHANCE is the odds or likelihood that the unwanted event could occur. Theoretically, chance is determined by mathematical odds determined from statistics. But in the real word, statistic don’t tell the whole story. They have been cherry picked and manipulated. What Chance really comes down to is your gut feeling as to the likelihood that something may or may not happen. CONTROL is your ability to affect whether or not something happens. If you have influence on the event occurring you have some control. If you have no influence, then you have no control. CAPABILITY is your ability to handle the event if it does occur. The greater your ability to deal with the event, the greater your evaluation of your Capability. CONSEQUENCE is the result of what you think is going to happen. For example, you believe the Consequences of being robbed is the loss of your wallet. Or you believe that not only will you lose your wallet, you will also be beaten, raped, and possibly killed. COPING is how you handle the unwanted event. Are you able to deal with the aftermath easily, or do you suffer a high degree of post event stress, self-blame, and debilitation. All of these 5C’s are perception and belief based. You really don’t have concrete data to make a true evaluation based on mathematical calculations. Your evaluations many be based on experience and evaluation of the facts. They could be based on perceptions and beliefs acquired through the news media, Hollywood images, cultural stereotypes, myths and misinformation promoted by self-serving industries and ideological organizations. Your threat assessment depends upon the combination of these perceptions. For example, a high threat assessment is the result of Chance=high, Control=low, Capability=low, Consequence=high, Coping=low. Here is an example. Many parents fear their child will be abducted while walking home from school. They perceive the Chance is higher than it statistically is. They have no Control to prevent it. They have no Capability to stop it. The Consequence is never seeing their child again. They don’t think they could Cope with the loss. All of these beliefs combine to create a high threat assessment and associated fear. A low threat assessment is the opposite – Chance=low, Control=high, Capability=high, Consequence=low, Coping=high. All things being equal, people with an Internal Locus of Control (they make things happen) are more likely to have lower threat assessments than those with an External Locus of Control (things happen to them). Fear also arises from CREATIVITY. It takes a creative mind to envision the many ways in which harm could occur. Someone with an active imagination has the ability to “see” a whole host of potentially threatening scenarios that simply wouldn’t occur to a less creative person. More perceived threats leads to more fear. People with Dispositional Fear combine creativity with a generally higher baseline threat assessment for unwanted events. They perceive more risk in the world around them than others. Dispositional Fear can result from multiple incidents of Situational Fear or occurrences of unwanted events. Situational Fear is temporary and depends on the circumstances. Fear of falling disappears when the person is on the ground. Fear of a particular person should dissipate when that person is not around. Otherwise, it morphs into Dispositional Fear. Fear from being in a dangerous situation should disappear when the danger goes away. The first step to dealing with your fear is understanding what underlying factors and beliefs have influenced your threat assessment. An accurate threat assessment is a critical component for insuring safety. Should you really be afraid and thus your fear is keeping you safe? Or is your fear unfounded and based on the sum of your worst case perceptions of the 5Cs? Does your fear keep you anxious and paralyze you into inaction. Is your fear based on critical thinking and judgment? Or does it arise from unconscious and ingrained beliefs absorbed from self-serving agendas, negative stereotypes and fearful images created by popular culture?